The Americans with Disabilities Act of 1990 (ADA) provides important legal protections to disabled individuals. The law is wide ranging, and it affects businesses in many different ways. Overall, there is no doubt that the legislation has produced considerable benefits. However, some Florida businesses have also complained that the law has been abused. More specifically, some argue that companies are being unfairly targeted with costly lawsuits for relatively minor violations. Now, a newly elected state representative, Daytona Beach Republican Tom Leek, has proposed a reform that aims to find a strike a balancing act between putting a stop to overly abusive ADA lawsuits while still protecting the rights of disabled individuals. House Bill 727, also known as the Accessibility of Places of Public Accommodation Act, has now been referred to the Florida House Commerce Committee. This is the first step in the official legislative process. If signed into law, this bill would create an entirely new Florida state license for experts who would advise businesses on ADA compliance. In return, businesses who voluntarily consent to inspections by these ADA experts would be able to access some additional legal protections against possible lawsuits. To be clear, this proposed trade-off is fully voluntary for businesses. This means that no Florida business would ever be required to hire a state licensed ADA compliance expert for advice. Licensed Experts: Florida would offer licenses to ADA compliance experts who have sufficient training, knowledge and experience to advise places of public accommodation of general compliance issues. Voluntary Inspection: Business owners would then be able to hire these experts to come to their property and conduct an ADA compliance inspection of their premises. Post-Inspection: If the ADA compliance expert finds any public accommodation violations on the premises of the business, the company would then be allowed to submit a remedial plan that specifies how it will address the violation. Remedial Plans Can Offer Temporary Indemnification: Finally, for companies who have hired an ADA compliance expert, and then submitted a good faith plan to redress the violation, courts will be able to consider that act in any future ADA lawsuits. 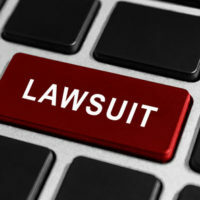 If a business is making a good faith effort to address the violation on its own accord, that could provide a valid legal defense against an ADA lawsuit. As of now, there is no companion bill in the Florida state Senate. As such, this proposal still has a long way to go before it can become Florida law. However, there is no doubt that this bill has gained some early momentum. As such, businesses that have concerns about ADA compliance should keep a close eye any future developments. At Pike & Lustig, LLP, our Florida business law attorneys defend the rights and interests of companies throughout the region. If your business is facing a lawsuit, we can help. For a free legal consultation, please do not hesitate to contact our West Palm Beach office at 561-291-8298 or our brand new Miami office at 305-697-9799.